Reptilius was created as a simple monster suit with leg extensions; it is seen briefly in one of the security camera videos, stalking a woman. 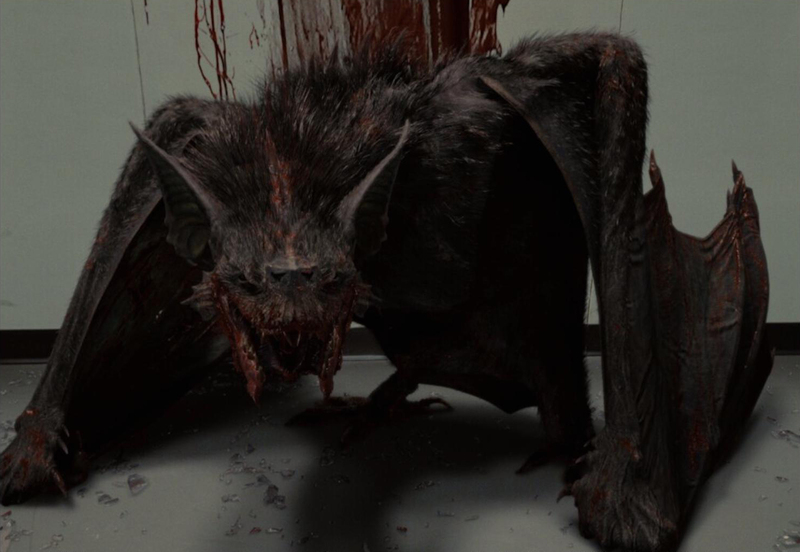 Designed by David Leroy Anderson, the DragonBat was wholly computer generated. The 3D model was created directly in ZBrush and then resurfaced in Maya by Anastasios Gionis. The Giant Snake was also a CG creation. Its design was based on various species of snakes, among which cobras, rattlesnakes, and hognoses. Various caged creatures. Notice the millipede and leaf bugs. Cages of varying sizes were built for the scene where Dana and Marty are trapped in the massive selection mechanisms. The smallest cages were used for actual arthropods — among which leaf bugs and millipedes — and small scale animatronics. 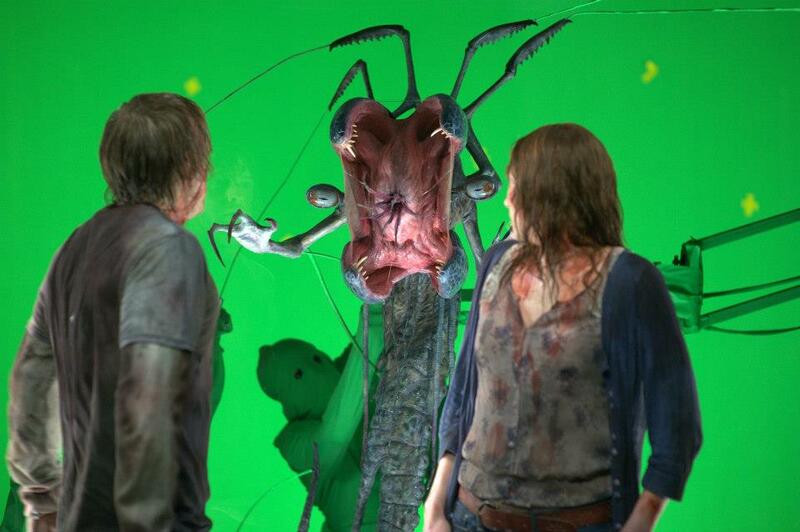 Filmed with green screen, the cages would be later composited in the final shot, creating the illusion of a much larger size for those creatures. The ‘Giger’ Alien Beast was designed by David Leroy Anderson and Michael Broom. Early artistic incarnations of the monster conceived a suit performer with the lower half of their body covered in green clothing to be erased in post-production, whereas others had the performer hanging from a platform. Those ideas were discarded, and the monster was finally created as an animatronic rod puppet, sustained by three puppeteers and a harness. Sculpted by Hiroshi Katagiri, it featured articulated eyes and pupils, mandibles, fingers and various appendages. It was also able to turn articulated tentacles outward from its mouth opening. The puppeteers wore greenscreen outfits, and the supporting rods were painted green, in order to be removed in post-production; this technique achieved the desired hanging stance or floating movement of the character. 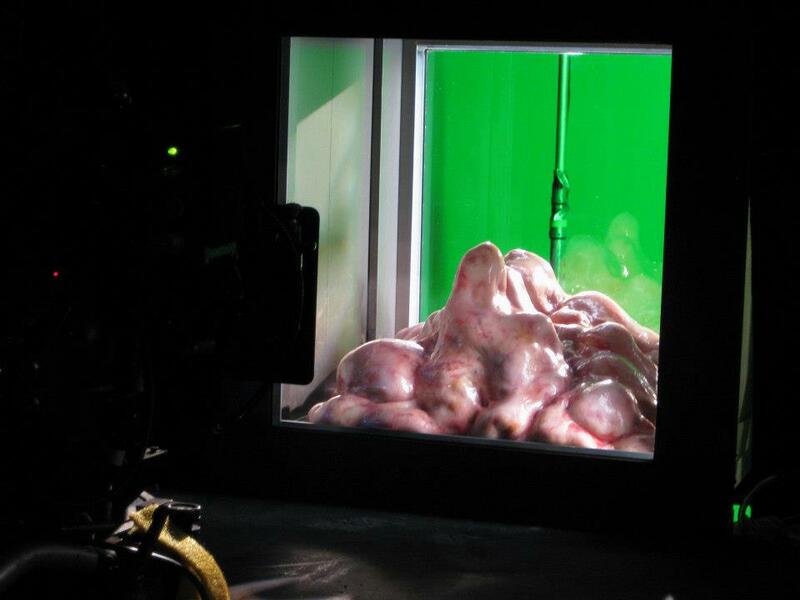 A brief sequence introducing the Alien was in the script of the film; it was filmed [see picture above] but ultimately discarded for the final cut of The Cabin in the Woods, where the Alien was replaced by the Wraith. 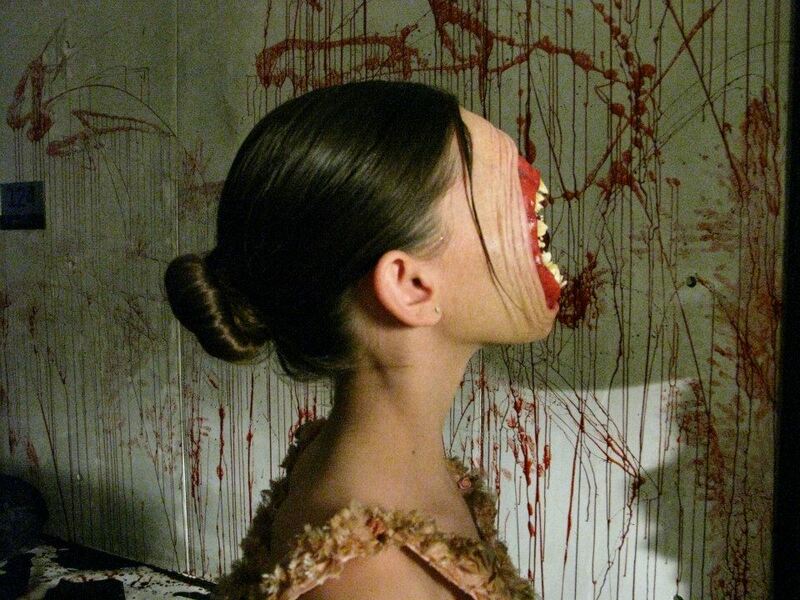 Despite the appearance, the make-up was not overly difficult to use or frustrating for the performer inside. it featured small holes in order for her to breathe and see. Anderson continues: “it had nose holes that weren’t a problem, because they were in a little dark recess, but the eye holes were right in a prominent area, so they had to be tiny, they were literally the size of the head of a pin that she could see through. She was so tough, this little girl. I said, ‘they called CUT, they’re going to set up for another take, do you want to take this off?’, and she’s like, ‘nah, that’s okay!’. 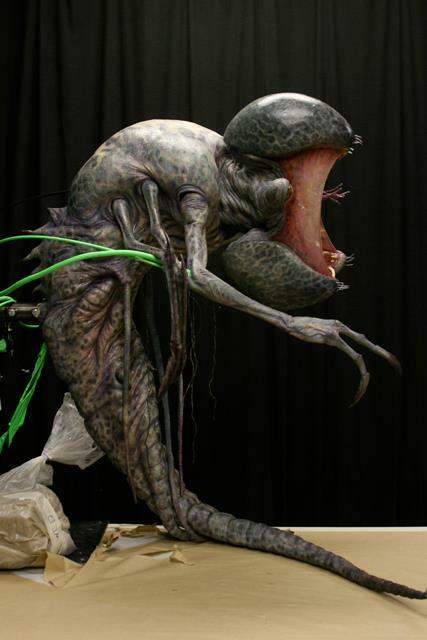 In the film, close-up shots of the Ballerina’s maw were enhanced digitally. The Blob, largely unseen in the final cut of the film, was designed by Joe Pepe, sculpted by Joel Ellis and built by Brian Blair. 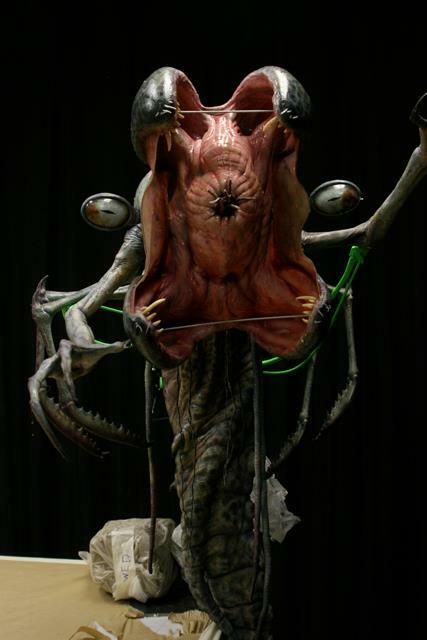 The monster, “basically a bunch of guts and organs that have been composited together,” was created as a small-scale miniature animatronic creature. The core was made of fiberglass, over which an understructure composed of eight-ten bladders was added. 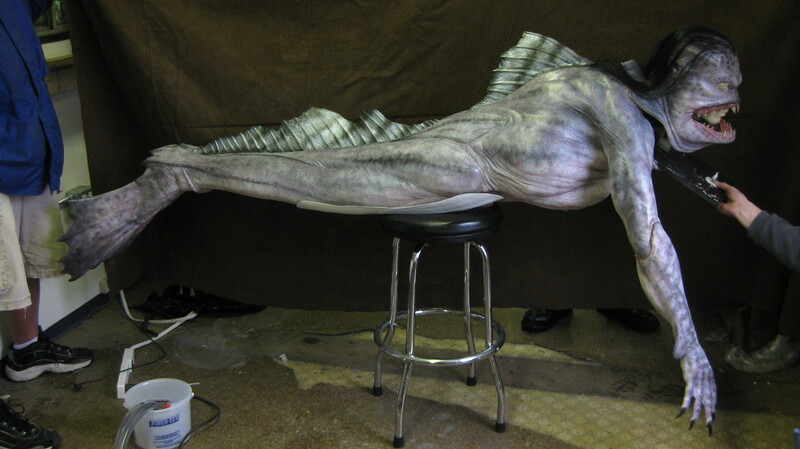 The animatronic was then covered with a thin layer of silicone skin. It could be puppeteered by inflating and deflating the bladders, but also via rods that would enter two holes in the fiberglass. “We wanted something very organic and nasty,” said David Anderson. 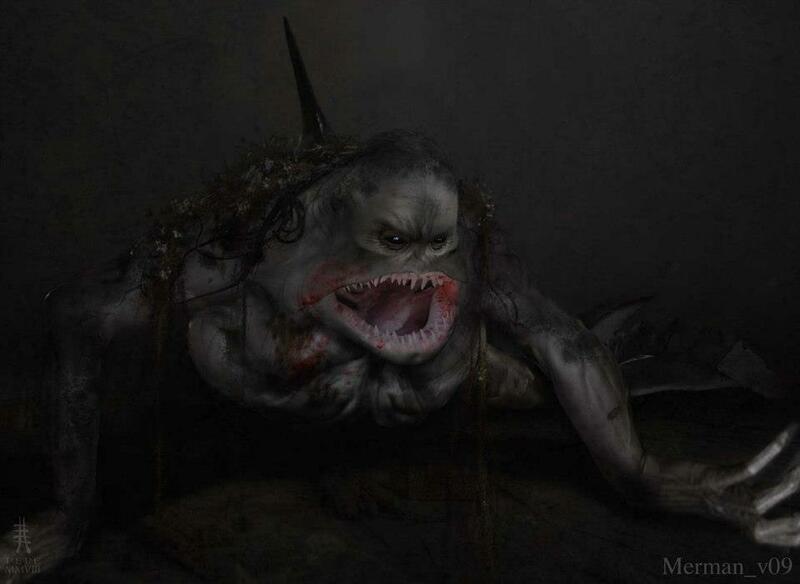 Merman design by Joe Pepe. Earlier designs for the Merman were heavily influenced by the Gillman in The Creature from the Black Lagoon. The monster would, however, progressively lean towards a legless, more fish-like configuration. 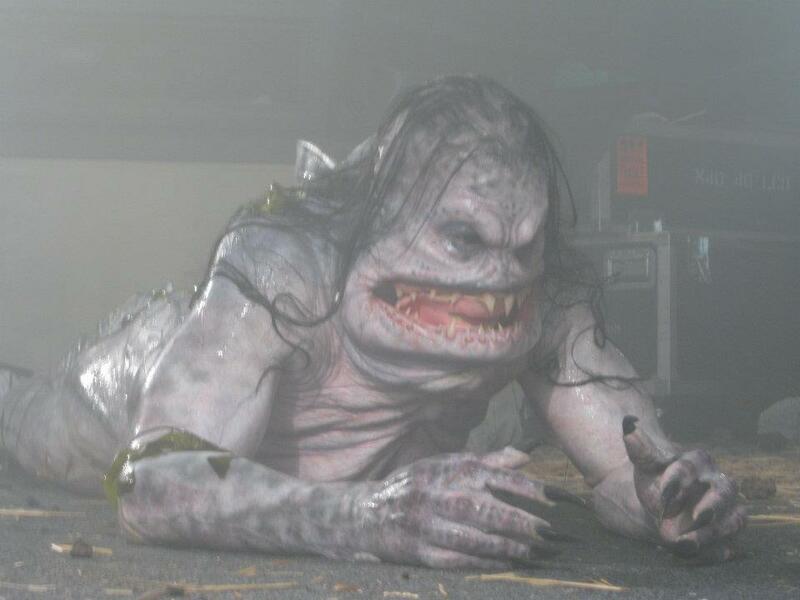 The final Merman was designed by Joe Pepe. 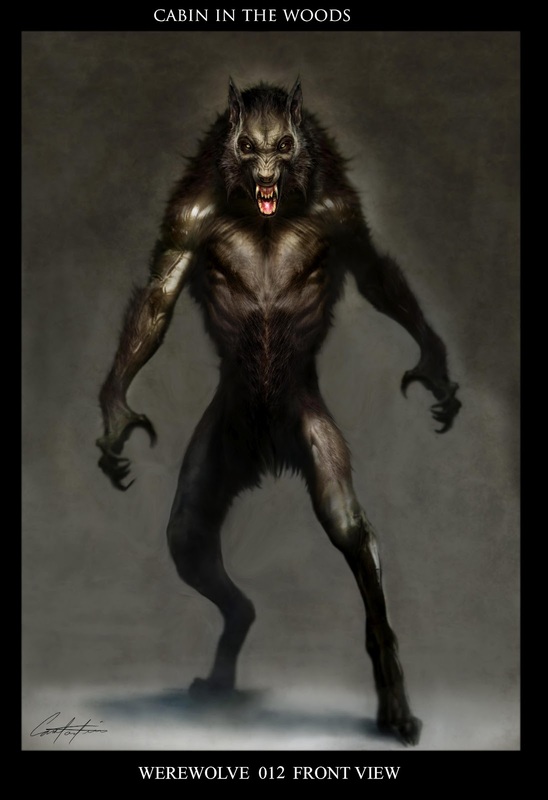 His concepts were photoshop collages obtained from high-resolution photographs of various elements, including shark jaws, humanoid foreheads and long hair. 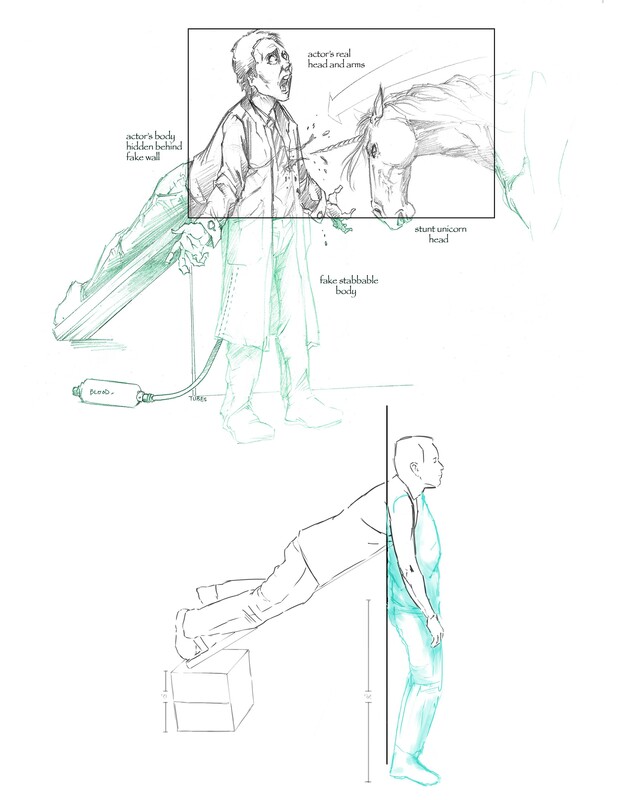 Concept drawing showing how the stabbing scene would be filmed. 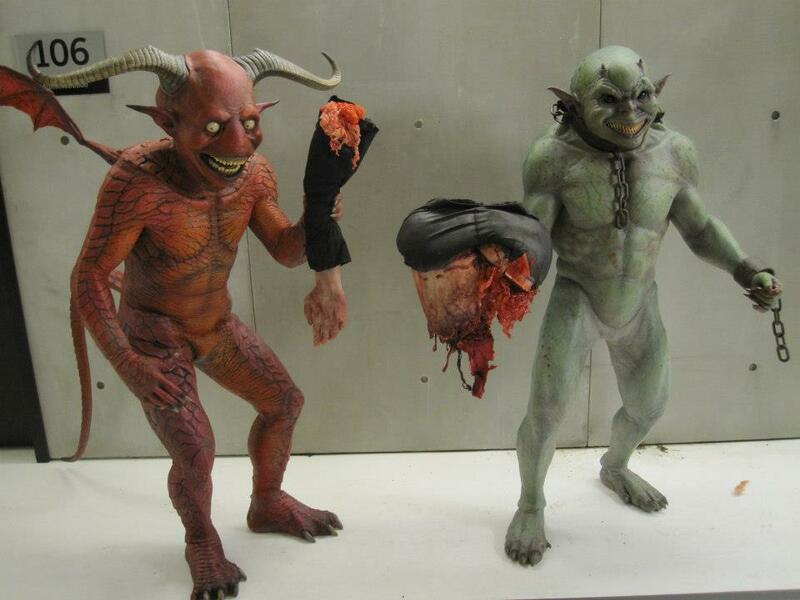 The infamous stabbing sequence was achieved with an insert puppet head, which featured an actual rigid horn. 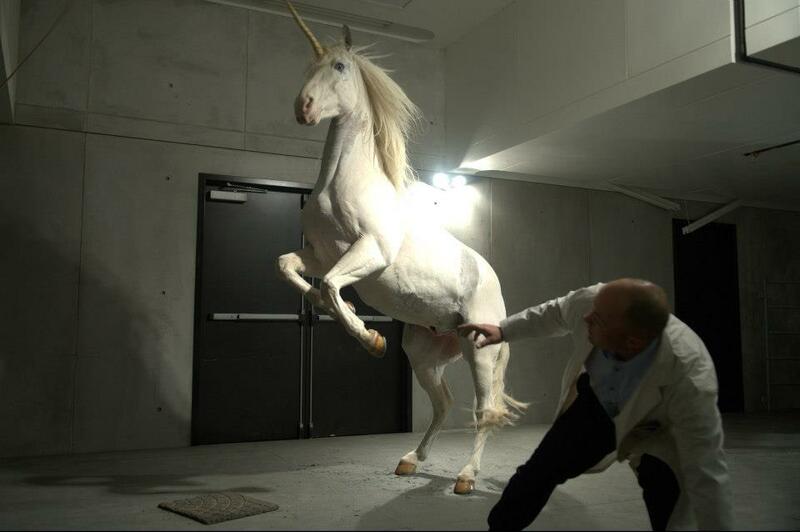 It was mounted on a gimbal, and the puppeteers would just have to ram it back and forth. The actor playing the victim had his head and shoulders sticking out from a hole in the wall; a dummy of the rest of the body was made to receive the damage from the horn. 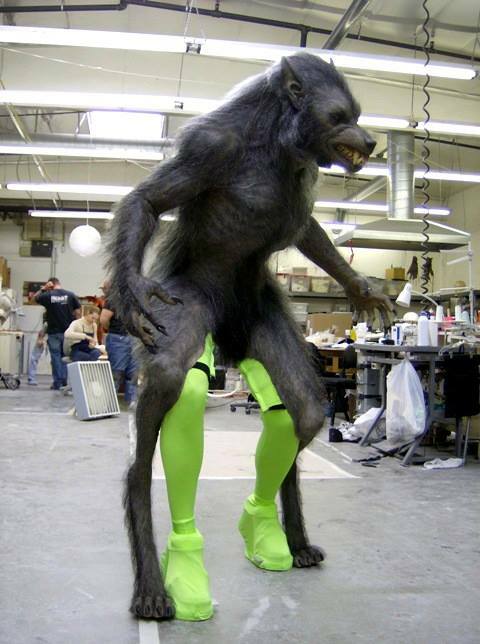 The Werewolf’s legs were attached to the sides of the performer’s real legs — which wore a green outfit in order to be erased in post-production. 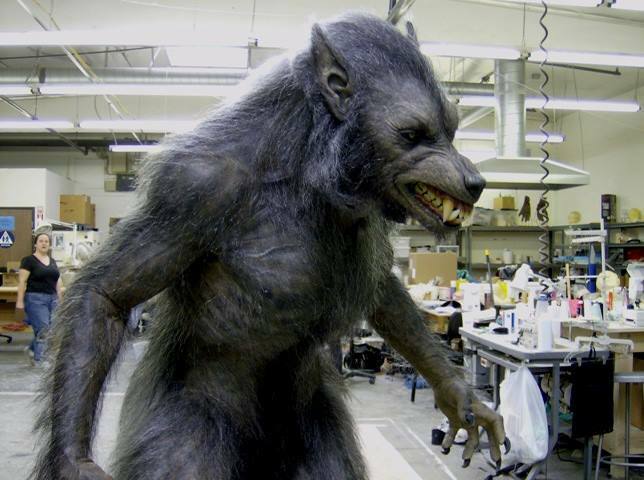 The legs of the Werewolf would be puppeteered with the movements of the actor inside the suit. The technique made the suit simpler to perform in and excluded the necessity to use computer generated legs; legs with different attachment areas were made, and used depending on the requirements of the shot. 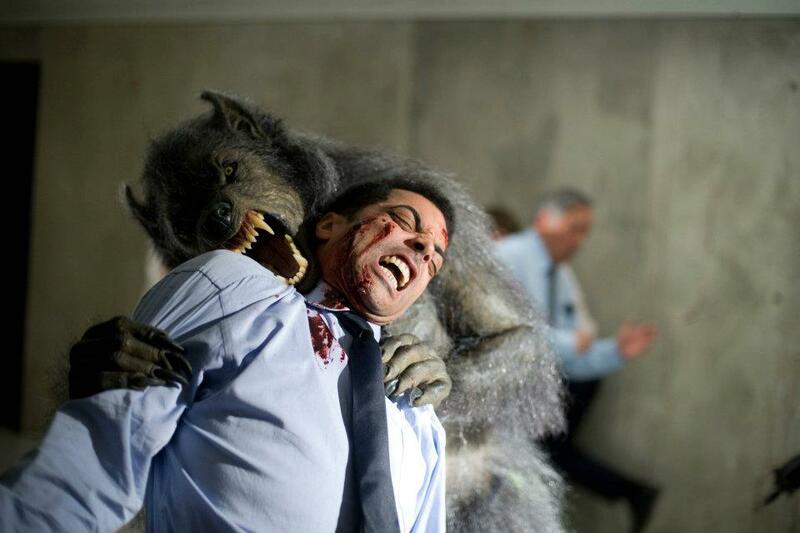 The Werewolf suit during a test; the performer’s legs are wearing a greenscreen suit. 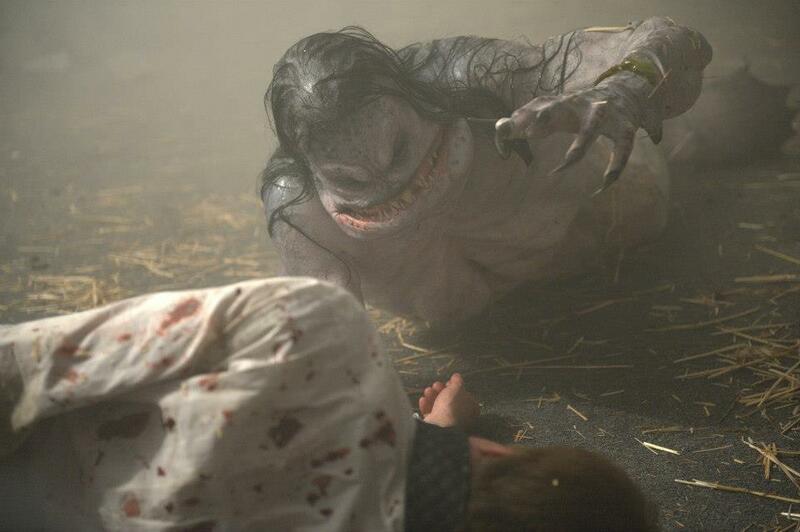 For more images of the monsters, visit the Monster Gallery. 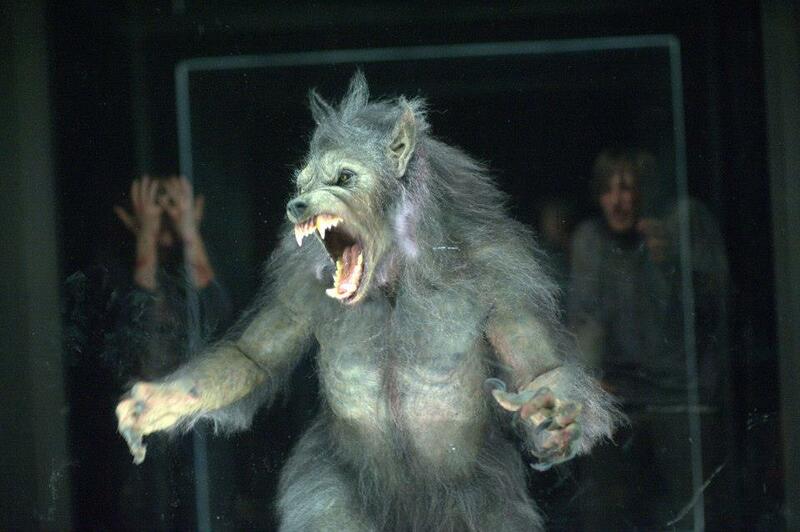 Posted on 10/03/2013, in Movie Monsters and tagged AFX Studio, Joss Whedon, The Cabin in the Woods, Werewolf. Bookmark the permalink. 3 Comments. Very complete, fun and informative list!